Lately every single time I get online, I see some type of post or message about self-care and the many benefits it can have. Self care apparently has the ability to fix everything wrong in your life. Want to lose weight? Self care. Kids driving you crazy? Self care. But for a parent that works full-time, and has kids with after school activities three days a week? It seems impossible to have even 5 minutes alone. I have hundreds of ideas for self-care options saved on my pinterest board, and have tried a few of them, but like everything else in my life I really struggle to find the time to take care of myself. Who really has time for a full spa treatment anyway? It feels like each day I get so overwhelmed with life that by the time my kids go to bed, all I can think to do is crawl into bed myself. But then I have dishes to clean up from dinner, toys that need to be put away, laundry that needs to get folded (which if you happened to read Laundry you know that the baskets are still sitting there…), and a million other things that need to get done before I can go to sleep. I’ve tried getting up an hour earlier to have time to myself to focus on self-care – a quick exercise session, quiet coffee break, or to read for a little while, but after a few weeks I started hitting the snooze button again because I was up late getting everything done. So how are we supposed to fit in taking care of ourselves when the days seem to just be flying by at a hundred miles an hour? I still struggle every day with finding the time to take care of myself, but here are a few things I have found that have helped. Pay attention to how you spend your day. Grab a piece of paper and write down everything you did, and how much time it took to do it. Try to think of time you were alone, and what you were doing at that time. How about on your drive to/from work? During your lunch break? What about the time you spend on your phone – is it productive? In doing this, I was able to find a few times a day where I had at least 5 minutes to myself. It may not seem like a lot of time, but it was just enough to close my eyes (not while driving of course), take a few deep breaths, or listen to an audio book. Thinking about and focusing on your own breathing, your dreams and your goals can be very beneficial. Learn to multitask. I read somewhere that in today’s society, it is actually more productive NOT to multitask, as we can get distracted from our goals and lose track of what we are doing. However in this situation, I found it to be necessary. With our lives being so busy, finding a way to focus on ourselves amidst the chaos is important. For me, it became applying a facemask in the morning, and letting it work while I packed my kids lunches. I listen to audio books on my drive to and from work, and before I get out of bed in the morning, I keep my eyes closed and take 5 deep breaths. Organize your time. This one is still a work in progress for me, but I have found that without a scheduled time for certain things, I would never get them done. The most difficult part of this is also sticking to your schedule once you make it. It can be so easy to ignore your schedule and just sit on the couch or play on your phone rather than actually accomplish a goal you set for yourself. Set a reminder on your phone, mark it on your calendar, and find someone to share your goals with. Having someone else know what and when you have something planned for yourself will help you to stay accountable. I tell my husband when I plan to do something, and if I try to bail or skip it he usually gives me a gentle push to stick to my plans. Don’t give up on yourself! Find your why. This one is probably the most important, because without something to work for, what’s the point? What do you want to accomplish? What are your goals? For me, my why is not only to feel like a better version of myself, but also to be a better mom to my kids. I noticed that the more worn out I felt, the more I would yell at my kids or find an excuse to not spend extra time with them. Being someone who they can look up to is so important to me, and I want to set a good example so that they grow up knowing how to take care of themselves too. It is amazing how much they want to do what we do. I started taking baths, and now both of my kids LOVE bath time because I share my bath bombs with them. My four-year old son absolutely loves to relax in the bath now, and even asks for a massage every night before bed so that he can let go of all of the stress he had that day (his words, not mine). Lastly, start a journal. I can’t explain how much this has helped me. I don’t always find the time to write in it everyday, but when I do it helps me to unwind and focus on my goals and things I am grateful for. Even just being able to write out all of my thoughts, feelings, or emotions from the day eases the stress I carry with me. For the longest time I never had any goals for myself. All I thought I was meant to do was to be successful at work, and be a good mom. It wasn’t until I started focusing more on journaling and reading self-improvement books that I realized what makes me happy. It helped me to find my passion, and set goals for my life. 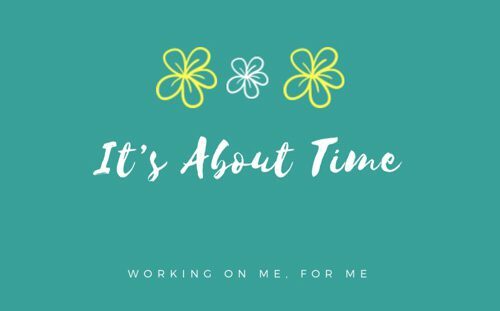 Having something to work toward has actually helped me to be a better mom, and more productive at work. Self care is a never-ending journey. Don’t let all day spa treatments or never ending self discovery posts discourage you. Although it would be lovely to have an entire day to spend on taking care of yourself, we all know that it isn’t realistic. But if you can find just 5 minutes a day to focus on yourself, it can make a huge difference in your life.